The facility in Swinford, Mayo. 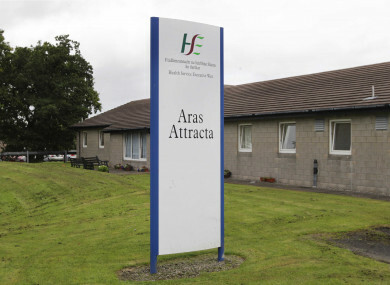 A 72-YEAR-OLD man with an intellectual disability was malnourished and severely dehydrated prior to his death at the Áras Attracta care centre in Mayo, an inquest has heard. Francis “Albert” Loughney died at Mayo University Hospital (MUH) on 18 November 2012, 12 hours after being admitted from the controversial care facility located in Swinford, Mayo. The centre was the subject of an RTÉ documentary in 2014, which revealed evidence of abuse and prompted a garda investigation that resulted in a number of staff being convicted of assault. Concerns in relation to the death of Loughney were raised by Consultant Pathologist Dr Tomas Nemeth after he observed evidence of “severe dehydration and malnutrition” on the body of the deceased. “It was not usual for a patient in care and it concerned me,” Dr Nemeth told Mayo Coroner’s Court in Castlebar today. The pathologist identified the cause of death as sepsis due to acute bronchitis, bronchiolitis, and early bronchopneumonia with severe contributing factors of extreme dehydration and malnutrition. However, Coroner Patrick O’Connor returned a verdict of death by natural causes after hearing evidence of a long history of issues with eating, including self-induced vomiting and paranoia about food. Loughney had been a resident at Áras Attracta since 1999. He had previously experienced physical abuse at an industrial school until the age of 16, and then lived with relatives for a long period until entering care in the 1990s. He was one of five siblings from Crossmolina, Mayo; none of whom had ever married and all five were now deceased. His eldest brother, John, had also lived at the centre but died three months before Albert. Ann Burns, programme director at the care centre, described the deceased as a “small, thin man” who had needed close monitoring and encouragement in relation to eating, particularly when he was in a low mood. The inquest heard that he would rarely eat a complete meal, and disliked eating with the other residents. He always tended to spit out any lumpy foods and, in 2000, 24 episodes of self-induced vomiting had been documented. He was examined by a dietician in 2010, who recommended the use of supplement drinks when his food intake was poor. However, he was never seen by a dietician again despite a number of referrals by nursing staff. Three days before Loughney was admitted to hospital, he was suspected to have bronchitis and chest problems. He was prescribed antibiotics by a doctor without any medical examination. Maura Loftus, cousin of the deceased and his next of kin, told the inquest that Loughney had tried to tell her something on her last visit before he died, but he was too weak to communicate. “The last time I spoke to Albert, he was distressed,” said Loftus. She told the inquest that Loughney was “innocent” and that a HIQA report into his death had made for “gruesome reading” and she had never been informed about issues with her cousin’s diet. Mary Gallagher, clinical nurse manager at the care centre, described him as a “pleasant, anxious-looking man” who was “generally negative” in his outlook and in his view of himself. He liked to sit in the hallway and listen to music, he was very interested in football matches that took place on a pitch across the road from the facility, and he loved to visit Knock Shrine, said Gallagher. Professor Cillian Twomey, a retired geriatrician who carried out a report on Loughney’s death for the Director of Public Prosecutions (DPP), commended the care that he had received at Áras Attracta. Every attempt had been made to render him more healthy nutritionally, he said, but Loughney was “an extremely thin man” with poor defence against illnesses. However, Professor Twomey said that it would have been “more appropriate” if the doctor who prescribed antibiotics without examining the 72-year old had visited him either later than evening or early the next morning. Returning a verdict of death by natural causes, O’Connor said that it appeared Loughney had been cared for very well at Áras Attracta, and echoed Professor Twomey’s observation that better communications between nursing staff and doctors was required. Email “Man was malnourished and severely dehydrated before death at Áras Attracta”. Feedback on “Man was malnourished and severely dehydrated before death at Áras Attracta”.